Yesterday I went to see a friend who suddenly and tragically lost her 18 year old son. I went, bearing food, knowing I had no words that could help but hoping to minister to her just the same. Instead, I was on the receiving end and she did the ministering. 1. I saw the Body of Christ in action. This family is part of an intensely close extended family that has seen more than their "fair share" of troubles. Through it all, including this time, they have stuck together and have not wavered in their commitment to Christ. They hurt, they grieve, but they stay the course. And they were all there, comforting each other, serving each other, leaning on each other. Together. Operating as He intends the Body to operate. It was amazing. 2. If I were in their shoes, I think for sure I would want to lock myself away in my room, crawl under the covers and curl up in a fetal position for days. Instead, they themselves answered the door, welcomed me in, and allowed me to share in their grief. Their sharing eased my own burden. 3. Tears flowed and voices choked but there was such grace and dignity to their grief. No thrashing or wailing or unrestrained sorrow. They are hurting - absolutely. And hurt they should. This is every Mom's nightmare - to bury a child. But these folks do not grieve as those who have no hope. They know that their son is in the presence of the Lord and that they will see him again one day. And they also know that, as unbearable as it feels, God will grant them the grace to live the rest of their lives, to raise the rest of their children, to His glory. Their humble confidence showed. 4. They were able not only to talk about what happened and details of the next few days but they also freely shared good memories and sweet times, blessings they had experienced. Then, to my amazement, they began asking about my own family!! Encouraging me with kind words about my husband, and my children, telling me how much we meant to them. Asking me to pray for certain folks who would be so devastated by this loss and others who need to embrace the Lord that they were leaning on even now. Can you believe that??? If there's ever a time we could expect to get a pass on being others-focused, this would certainly exceed those requirements. Yet, here they were, esteeming others more than themselves. I walked back to my car with the friend I came with and we couldn't control the tears of amazement at what we had just experienced. We went to minister. We left having been ministered unto. My friend had no time for a crash course in "correct grief experiences". There were no months of preparation or warning that debilitating loss was just around the corner. She didn't get up from the dinner table and decide to handle everything "just so". Without any warning, she was thrust into the center of insurmountable devastation. So, how can she possibly handle this so amazingly? Is she some kind of super woman? Is she delusional? Can you and I ever hope to handle such undesirable pain in such an amazing way? Well, what I experienced at my friend's house was the result of a life-long practice of drawing water from the wells of salvation. When the bucket of tragedy went down into their lives, it brought up tears, for sure, but also sweet sweet waters of blessing that spilled out on all us that got close. This gal has walked with Jesus, faithfully, through pain and sorrow, through disappointment and problems. And through the ordinary days. When there was nobody there to take note, she was faithful. 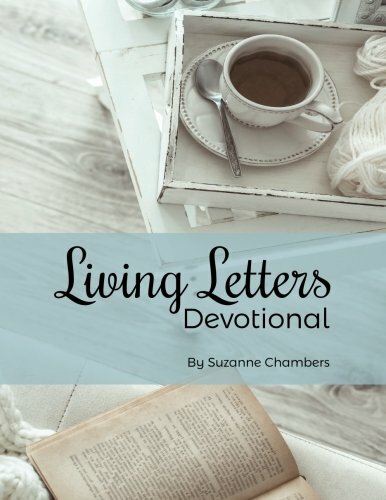 Her practice of loving God's Word, obeying it, serving Him and others, were like a well endowed trust fund that had ample supply for her to withdraw in time of need. I don't know what's around the corner for you or for me. But I pray that we are living right now so that when the fig tree doesn't blossom and there is no fruit on the vine, when the olive plants fail and there is no livestock to count on, that we will be well rehearsed in the practice of rejoicing in the Lord of our salvation. And we will find Him as our strength, our joy, and our provider. Amen. God bless the Terpins and the Brannons. Amen.